Home > What Is Power Up What Works > Who We Are > David Rose, Ed.D. David Rose, Ed.D., Co-Principal Investigator, helps set the priorities for CTI and provides guidance for its overall direction. Dr. Rose also supervises the work of the CAST staff on the project and plays a leadership role in applying Universally Designed Learning (UDL) principles and practices throughout that work. In addition to CTI, he is a Principal Investigator on two national centers to develop and implement the National Instructional Materials Accessibility Standard. He also teaches at Harvard’s Graduate School of Education, where he has been on the faculty for more than 25 years. 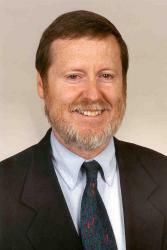 Dr. Rose is the author of several scholarly books, numerous award-winning educational technologies, and dozens of chapters and research journal articles. He holds a B.A. in psychology from Harvard College, a master’s in teaching from Reed College, and a doctorate from the Harvard Graduate School of Education.